Like Slender Man and Shadow-men, the Goat-man seems to be an up-and-coming creature in the paranormal world. See, for example, this recent book,Goatman: Flesh or Folklore? And this excellent post on a Goatman sighting in Maine. 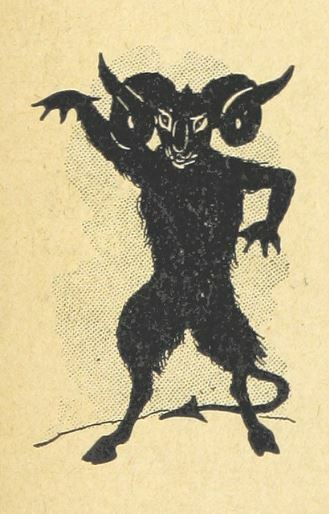 Following in Theo Paijman’s illustrious hoof-prints, I also wrote about some goat-like fiery devils in Bracken County Kentucky in The Ghost Wore Black: Ghastly Tales from the Past, with a nod to the legendary Goat Man of Pope Lick. Today we look at two nineteenth-century accounts of goat-entities, related by Violet Tweedale, who gave us the story about the Greek centaurs. ON THIS DAY IN 1793 - The Louvre Museum, in Paris, opened to the public for the first time.